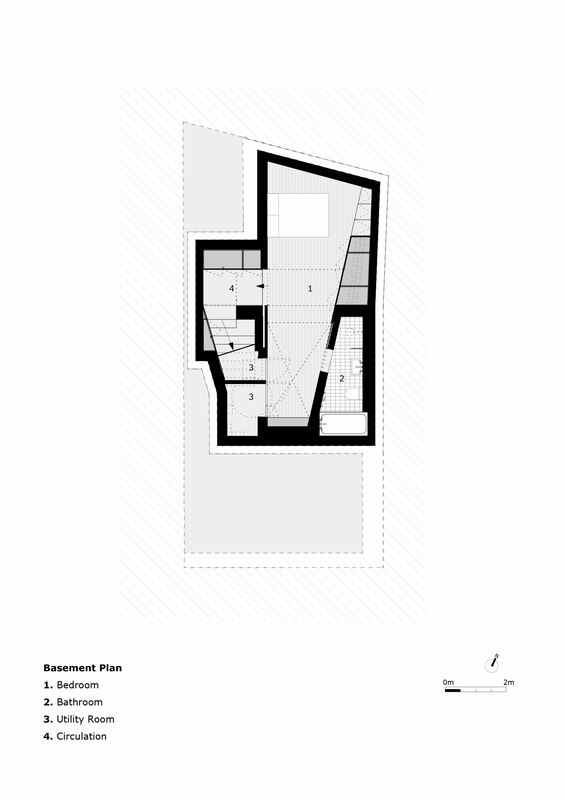 Whole House - Hayhurst and Co. 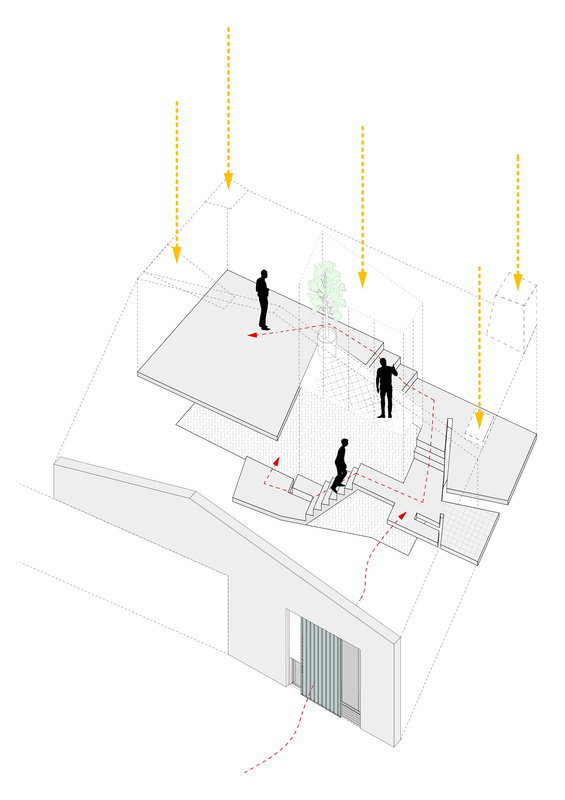 Whole House is a home full of contradictions: a house with big ideas on a small site. A house with no windows that is flooded with light. 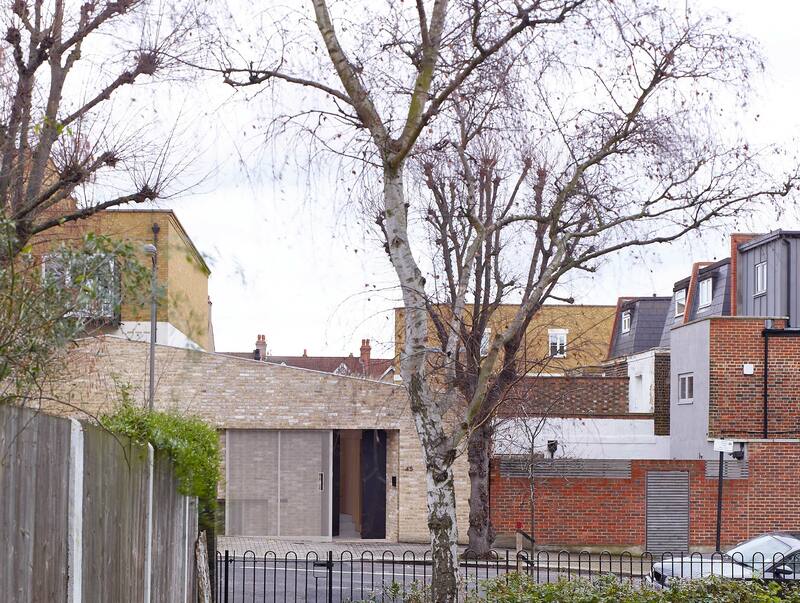 A unique house for a speculative, developer client who wished to maximise the development potential of this unloved site. 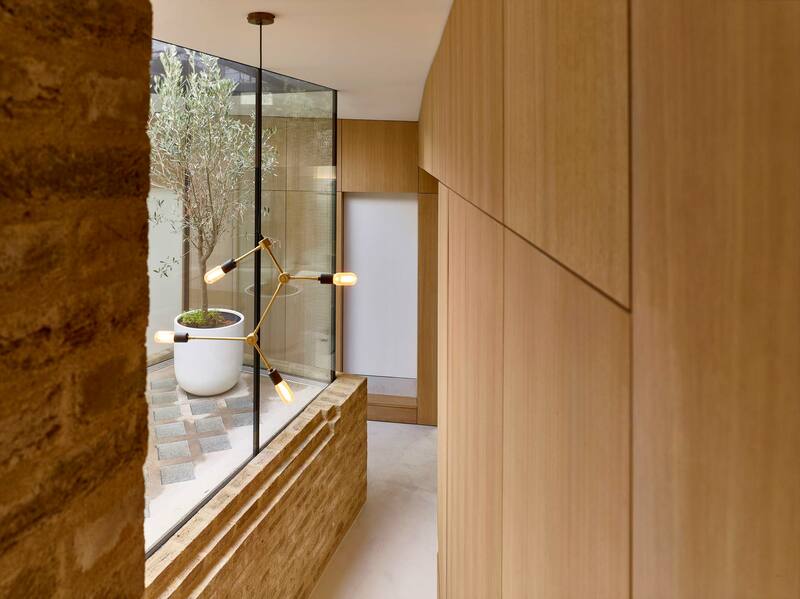 Bounded by back gardens to Victorian and inter-war housing and a super-sized 1990s mews development, Whole House is a 92m2 house organised around a central courtyard: an exemplar for contemporary, back-land, urban living. 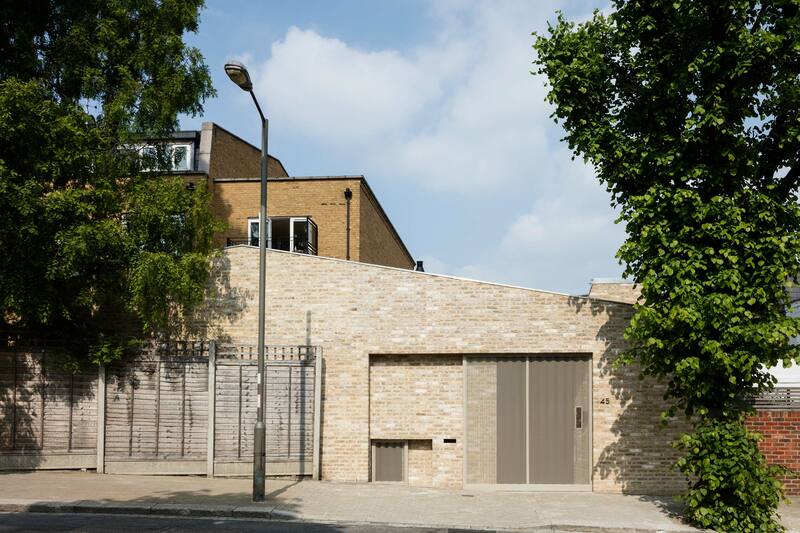 The entrance to the house sits in a wide, deep reveal accessed via a large sliding gate. 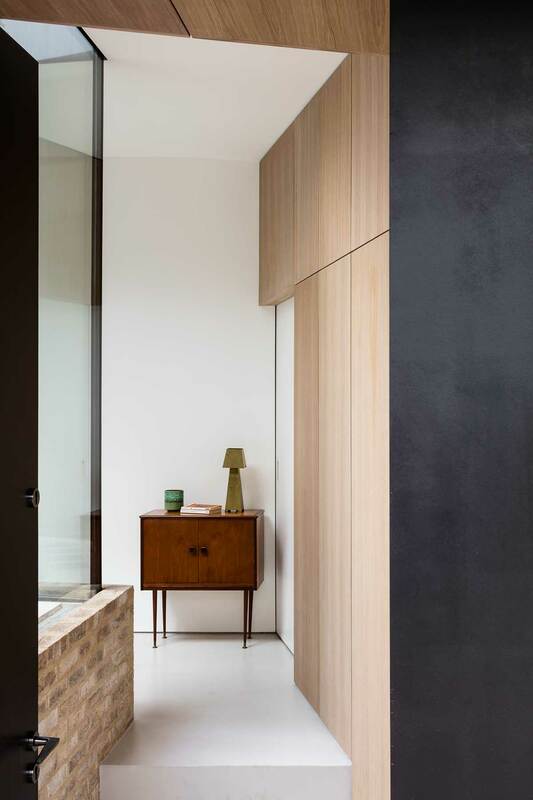 A smaller gate to the side provides access to the bin store and adds to the sense of depth to this small domestic elevation. 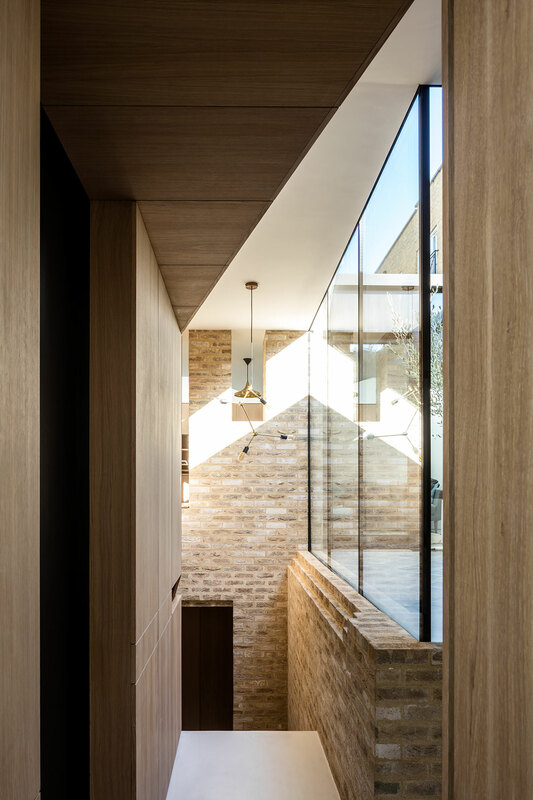 The circulation and day-lighting strategies were developed together to create a light, delightful and picturesque promenade as one walks around the house. 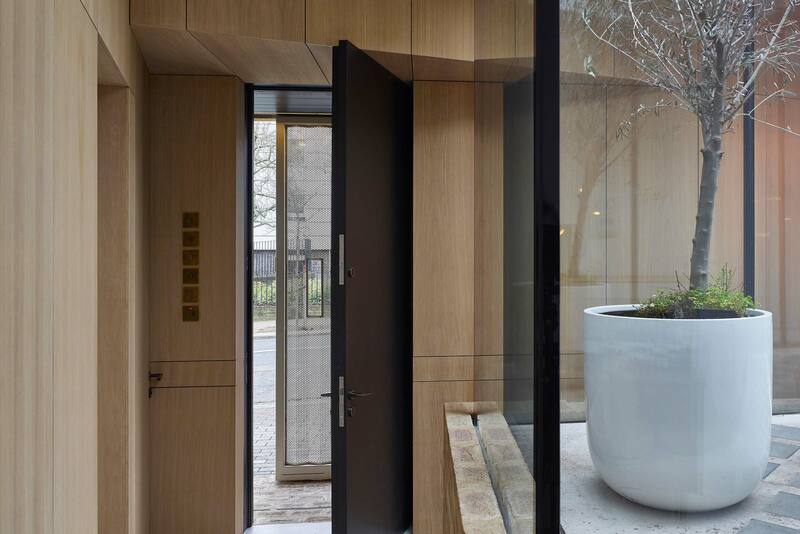 Walking around the central courtyard provides views in each direction and a visual connection to the sky and the surrounding roofs and tree-tops. 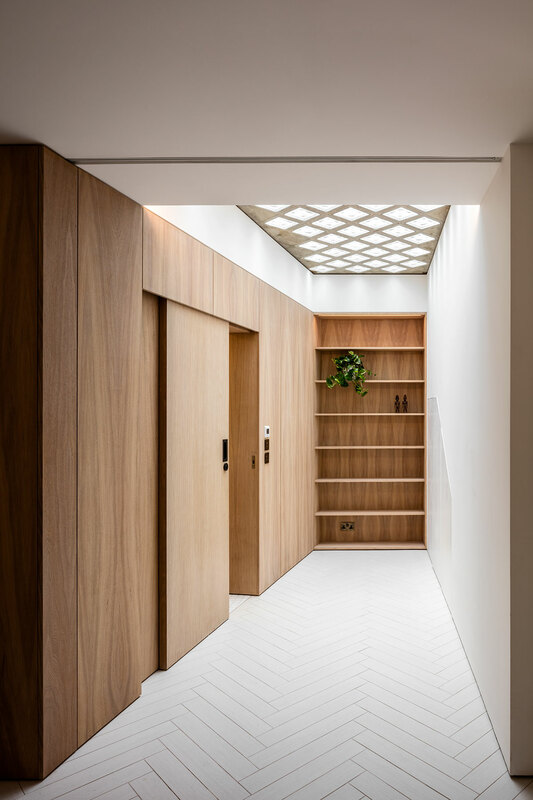 As the stair wraps from bottom to top the scale of the stair varies to provide a faster pace, a slower pace, a wider stair or a narrower stair: design moves that reflect the level of implied privacy and openness of the house. 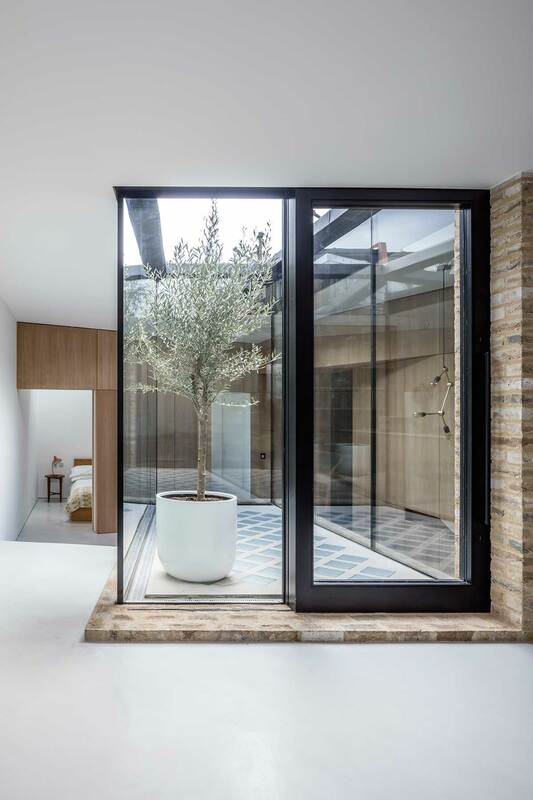 The main bedroom and bathroom are located at basement level and lit from the pavement light over the central courtyard with a curtain integrated into the cabinetry. At the upper level, the kitchen, dining and living spaces benefit from south light and access to the central courtyard. 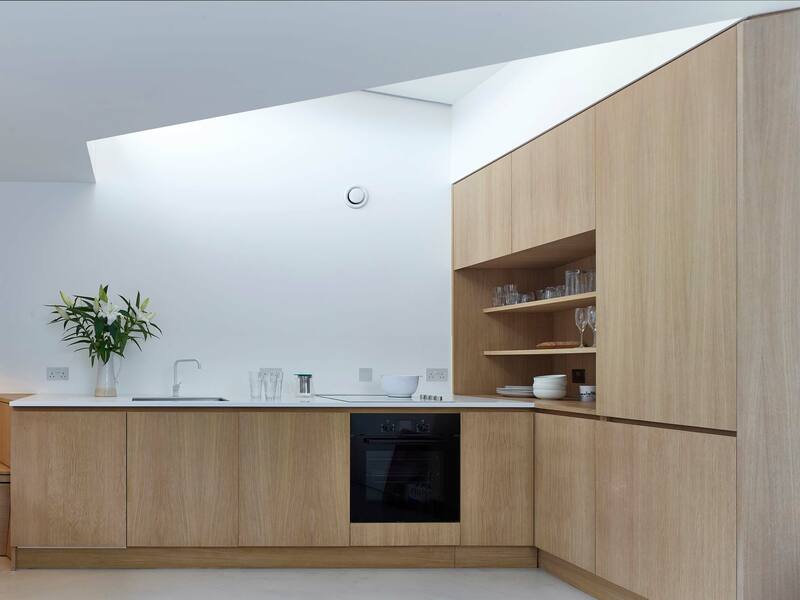 Each of the four corners of the house has a skylight that extends the length of internal views. 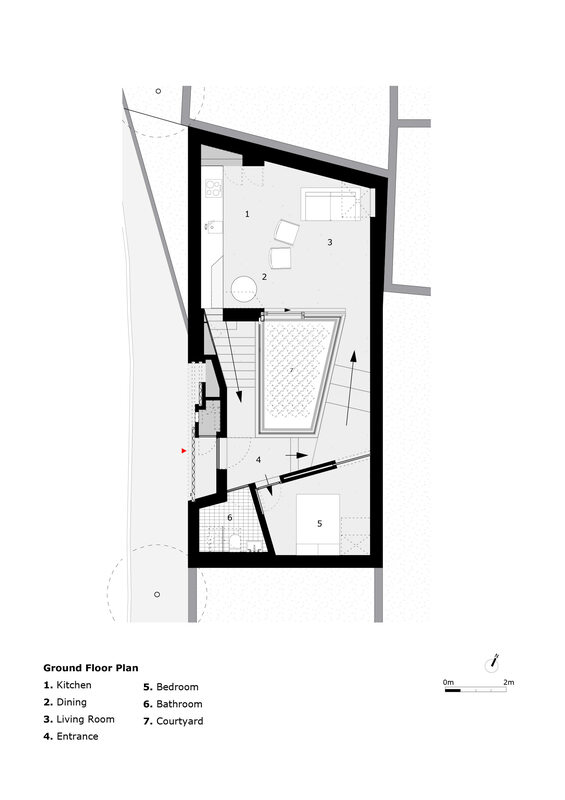 As a rental property, the space needed to be adaptable to suit the needs of different tenants and at entry level is a room that could be a second bedroom, a study, a TV or a music room. 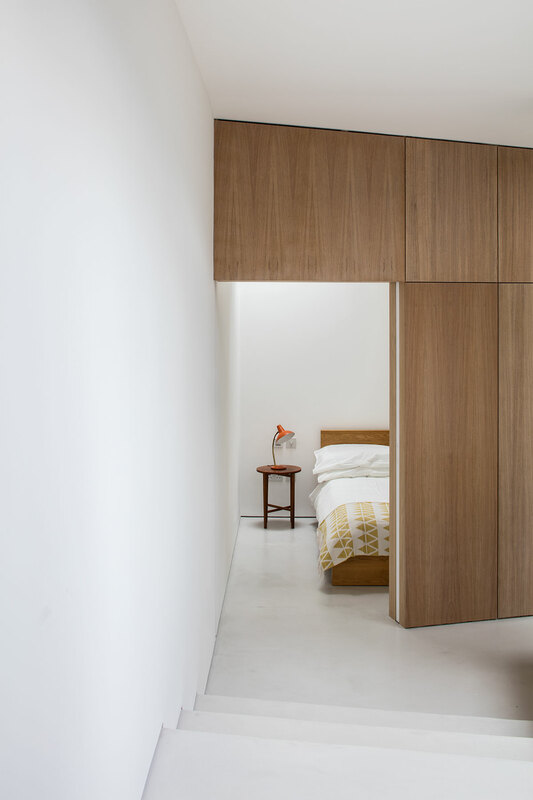 The different potential uses are acknowledged with two doors: a small hinged door facing the stairs from the bedroom and a larger-sliding door facing the steps to the living spaces. All rights to video: Boundless Productions & Channel 4. Building Control: Complete Building Control Ltd.